we are leading manufacturers, traders, suppliers&distributors of Back pack Mist Blower.Our client can get at Economical prices. The Vacuum Shredder from STIHL pick up immense volumes of fallen leaves, cut grass and trimmings and simultaneously shred them. Reduce to less than 10% of the original volume, the organic material can be used directly for composting or mulching. 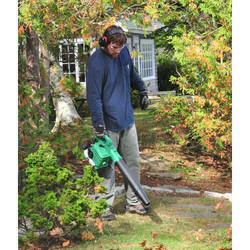 But that is not all, standard accessories turn the vacuum shredder into a powerful blower. Keeping in mind the ever-evolving requirements of our clients, we are devoted towards offering an optimum quality range of Leaf Blower 26.